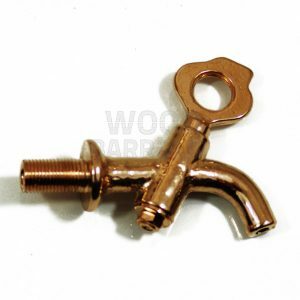 Small Brass Tap for 1-5 litres wooden barrel, independently of the manufacture process, are used in brewery companies as a mechanism for the discharge of the liquid contained inside a barrel. These taps have a liquid inlet and an outlet and the content of the barrel runs through the tap. The spider has the function of opening and closing. 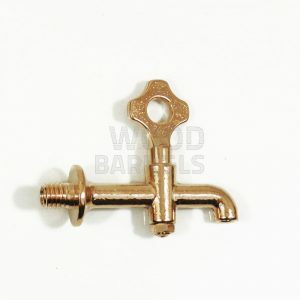 Medium Brass Tap for 10-20 litres oak barrel, independently of the manufacture process, are used in brewery companies as a mechanism for the discharge of the liquid contained inside a barrel. These taps have a liquid inlet and an outlet and the content of the barrel runs through the tap. The spider has the function of opening and closing. 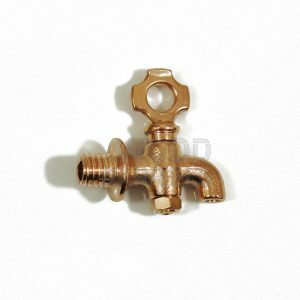 Large Brass Tap for 30-50 litres oak barrel, independently of the manufacture process, are used in brewery companies as a mechanism for the discharge of the liquid contained inside a barrel. 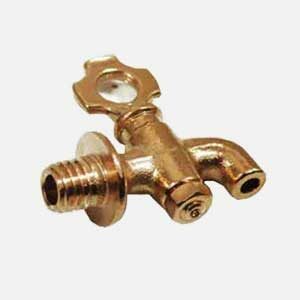 These taps have a liquid inlet and an outlet and the content of the barrel runs through the tap. The spider has the function of opening and closing.